Eating out in Arrecife is fantastic. 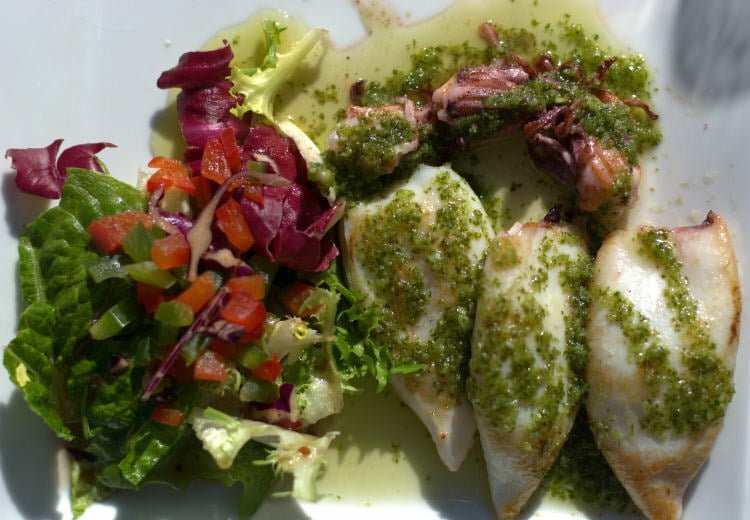 Holidaymakers may find a variety of cafes and restaurants in Arrecife along the beautiful coastline and promenade area of Arrecife and enjoy the local cuisine, traditional tapas, international dishes, and fresh seafood. Dorada, Tropical and Mahou beers are the popular local drinks. The comforting fish stock or the typical homemade jareas, pejines and tollos, the papas arrugadas or wrinkled potatoes (potatoes boiled with their skins on in a lot of salt which crystallises when dry and ‘wrinkles’ the potatoes), the sancocho, with its wise combination of ingredients, the soft and cured cheeses are all popular dishes and examples of culinary creativity.